Exclusive to Jio Prime subscribers, under the offer, they will be able to choose either a Rs 50 discount while recharging with any of Jio’s 1GB plans or get 50 percent more data benefits on them. 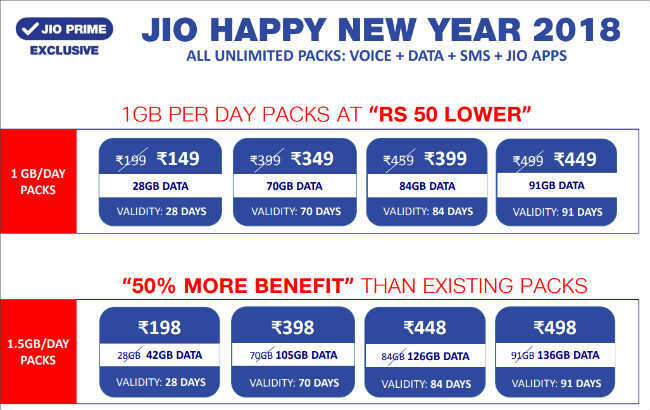 After announcing two new recharge options as its “Happy New Year 2018” plan, Jio has come up with a new offer for its Prime subscribers. The telco is offering two new options for those recharging with its 1GB daily data plans. Depending on their requirements, users can either opt for a Rs 50 discount while recharging with the plans or get 50 percent more data benefits. Jio's all 1GB daily data plans will still offer free STD and local calls, texts along with unrestricted access to Jio’s suite of apps like JioChat, JioCinema, JioTV, and more. Additionally, Jio’s Rs 399 recharge plan will offer 20 percent additional data with an extended validity of 2 weeks. This means that users recharging with it will get 1.2GB of daily data instead of 1GB and the plan’s validity will be extended from 70 to 84 days. Breaking down the new options, Jio Prime subscribers will be able to avail 1GB of daily 4G data for 28 days at Rs 149 instead of Rs 199, given that they opt for the Rs 50 discount. However, as mentioned before, they can also go for more data benefits with the same recharge and pay Rs 199 to get 1.5GB daily data for the same validity period. Similarly, customers will be able to choose any of the two options on all of Jio’s 1GB data plan as per their needs. So now the Rs 459 recharge can be availed at either Rs 399 with 1GB data per day for 84 days or at its original cost, but with more daily data of 1.5GB for 84 days. This offer will also apply to Jio plans priced at Rs 309 and Rs 499, which currently offer 1GB of data per day with a validity of 49 and 91 days respectively. 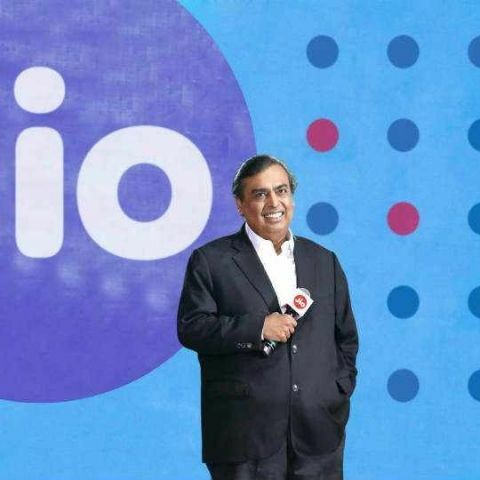 Jio also said, “2018 will bring unprecedented value to all Jio customers,” hinting that the telco may possibly launch some more new offers or revamp its other existing plans. Jio recently launched its Happy new year plans priced at Rs 199 and Rs 299 which offer 1.2GB and 2GB of daily 4G data respectively. You can read more about it here.